For the past 3 years I have been one of the South East reps on the NPF and have worked hard in that position. I am now asking SE Labour members to vote for me to continue to work for you and for even better policies for the next 3 year period. "Fiona is one of the most hardworking constituency representatives on the NPF, she responds diligently to almost everything that members post on the policy forum website, and she is always happy to visit local parties and talk about the NPF and policymaking in general. I shall vote for her, and I hope that you will as well." Jonathan Ashworth MP for Leicester South and Shadow Secretary of State for Health. "Fiona is experienced in leading a General Election campaign team, maximising voter contact and motivating members. She knows the importance of door to door campaigning as well as the value of using social media. "Fiona has to be one of the hardest working campaigners I know. Fiona is also deeply committed to issues that are firmly grounded in Labour values. Any constituency would be lucky to have her as their MP." ​Warren Weertman. Chair of Runnymede & Weybridge CLP. ​Jos Bell. 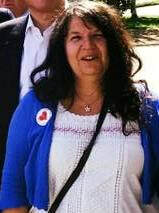 Chair of Socialist Health Association London and health & environmental campaigner. Robert Evans. MEP for London 1994 to 2009 and Surrey County Councillor 2003 onwards. Fiona helped to start our artists co-operative and then chaired it for the first 2 years. During that time, with Fiona's help and tireless work we established very low cost art studios that lasted for 4 years and that helped several of us to establish ourselves in the art world. Fiona was always encouraging and supportive and as a result of having the studios I am now showing my work in galleries across the uk and selling my work. I have known Fiona for many years since the early days of our careers in social services. She is honest and reliable and a person of great integrity. Fiona has always been a very hard worker and willing to take on challenges that many others would shy away from. She is determined and genuinely caring and I have no doubt that she would make an excellent candidate and a superb MP. 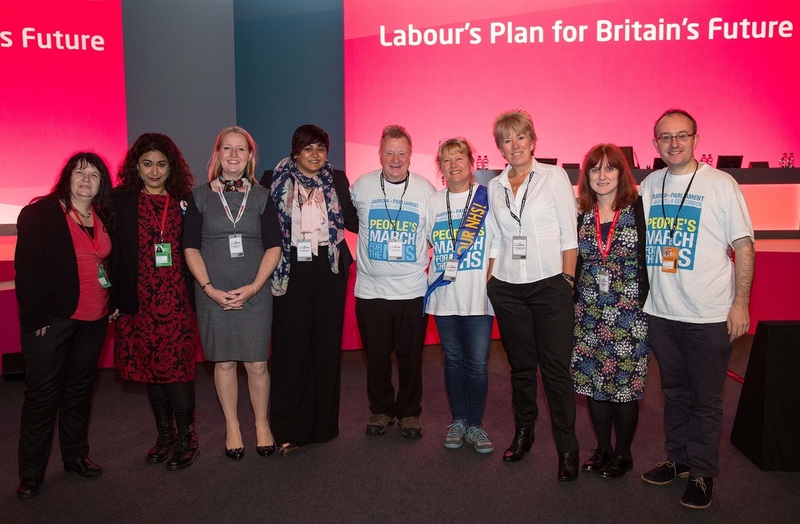 My name is Fiona Dent, a member of the Labour Party all my adult life and I am not a career politician but I am a real fighter and campaigner for policies that give people dignity and quality of life. In 2015 I was lucky enough to stand for Labour in Windsor in the general election. For 12 months I ran a very active campaign, including gaining media attention from the Jarrow March and making a strong stand against the Tory MP. I managed to raise the Labour vote, beat UKIP into 3rd place and the LibDems into 4th, placing us 2nd for the first time ever. In summer 2017 I had just started a long distance walk for charity across Northern Spain when the general election was called again. I immediately postponed my plans and came home as I knew we were short of candidates. I stood against Philip Hammond, challenged his failure with the economy and raised the Labour vote by 11%. In May 2018 I was elected to Runnymede Borough Council for Egham Hythe as the first Labour councillor for 15 years on that council. Like many people I have had to move to where my work (or my family) took me. I am a Yorkshire Scot and have lived in Sheffield, Huddersfield, Perthshire, Egham, West London, Maidenhead, Dundee, Cornwall, the South coast, Paris and even briefly on an oasis in the Western Egyptian desert! I worked full time from the age of 16 and studied for a Law Degree (LLB Hons) and a post graduate Diploma in Socio-Legal Studies at night school, while bringing up my son as a single parent. All of this I did while continuing to work full time through the disastrous Tory Recession years of sky high interest rates and high unemployment so I know exactly how difficult life is for many who are now paying for food and bills on credit cards and trying to achieve home ownership and I fight hard for all those affected. My work background reflects my approach to life which is to work to make changes to improve the quality of life for all. My CV includes Nursing, Social Work, Probation, Charity Management, Community Regeneration and most recently the Commissioning of Health and Social Care Services. I am also a Fine Artist (oil painting and sculpture) and I chaired an art co-operative between 2012 and 2014. I am an active NHS campaigner, have been a hospital governor and am one of the few people who did the entire 300 miles of the 'Peoples March for the NHS' the 2014 Jarrow to Westminster 300 mile march in 3 weeks to raise awareness of the privatisation of the NHS. Three years ago I was elected by over 8,000 Labour Party members to represent them on the National Policy Forum, I worked on the Economy, business and trade commission and my key contributions have been on business rates and lifelong learning. A member of UNISON, Unite, the Artists Union of England, the Howard League for Penal Reform, the Labour Campaign for Human Rights, SME4Labour and the Co-operative Party. Previously a member of NUPE, NAPO & NALGO. Please follow me on Facebook and Twitter to keep up to date on my campaign. Use the same link if you are registering for the first time, you can register from the age of 16 although, as yet, you can only actually vote when 18. Some people who walked 300 miles with me in 2014, Jarrow to Westminster to save the NHS from expensive privatisation. We have not won this fight yet but the public now know what the Tories are up to and we are not going to let them get away with it!